Earlier last year, Stephanie reached out to me about her upcoming wedding to the man of her dreams (that's you, Travis) on a day that she knew in her heart would be magical. 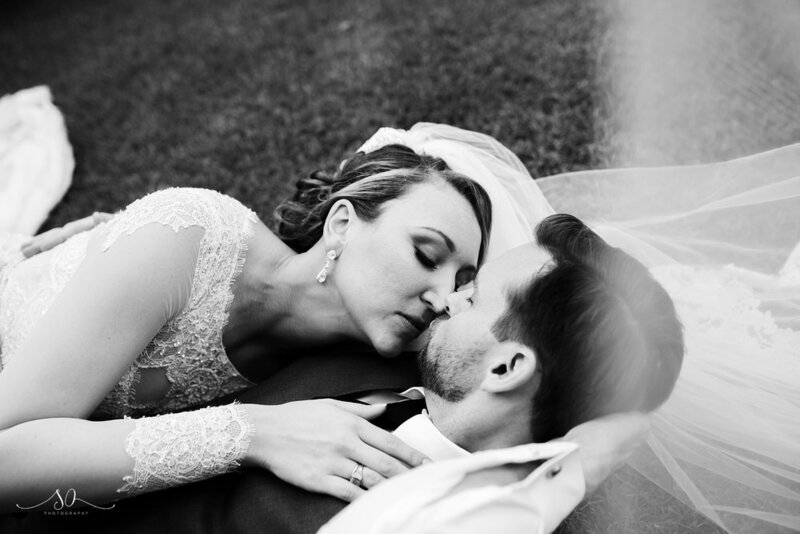 I knew from the way they shared their love story, that it would be even more; it was soulful, authentic, and radiant. Travis and Stephanie both grew up in Windermere and attended all of the same schools growing up and while they had several of the same friends, they somehow never met. Despite living the same cities, having the same friends, and even attending the same Universities, their paths continually missed each other. After meeting on a study abroad program in Greece (I know, right? DREAM), they lost touch after returning to the states only to reunite 5 years later when they both moved to North Carolina to follow career paths, and ended up within 45 minutes of each other. 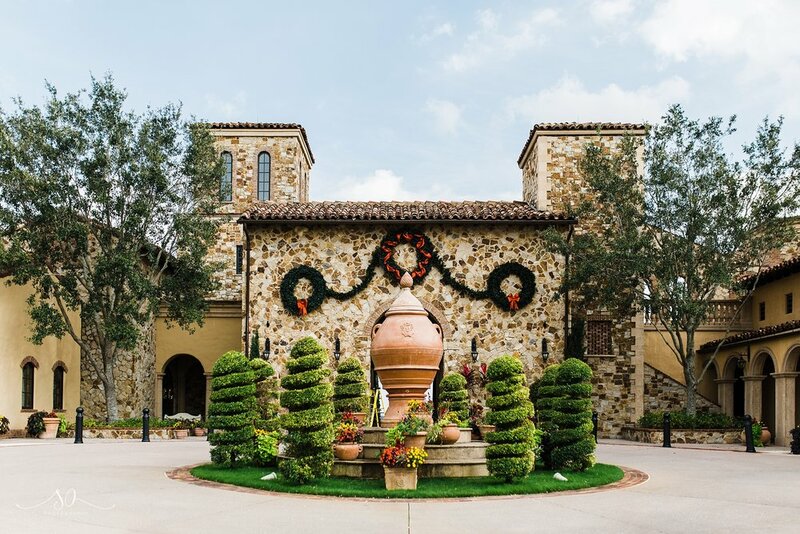 Rekindling a lost friendship turned to romance, and three years later the two finally gave into fate and wed at stunning Bella Collina. 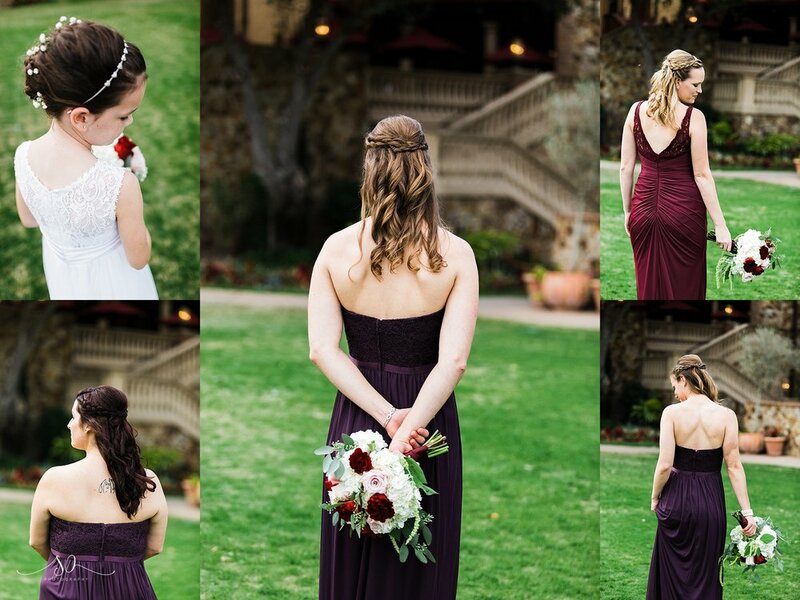 "Our wedding was a magical day," Stephanie wrote. 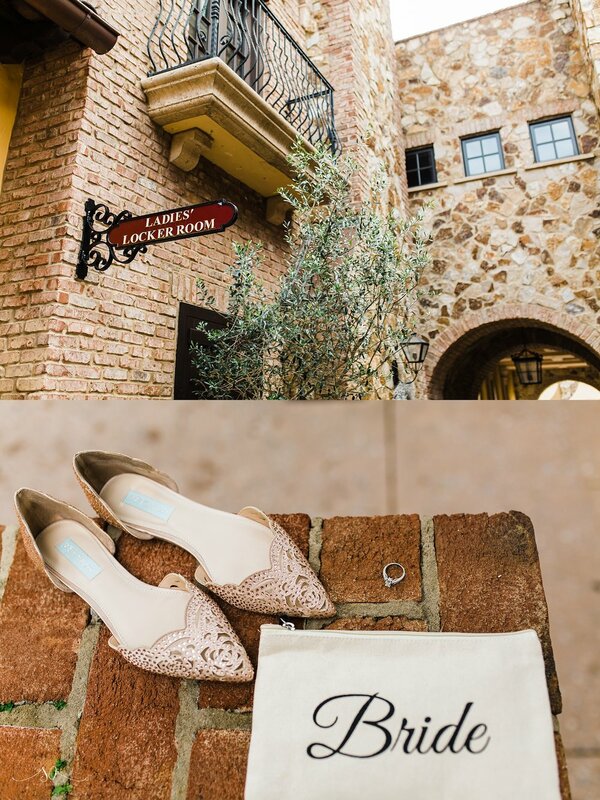 "Our theme was rustic elegance and had several DIY decor projects. 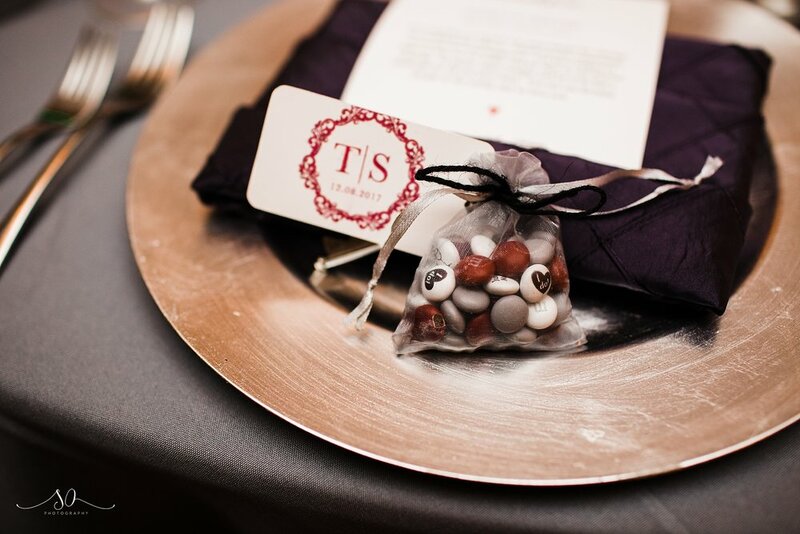 Together Travis and I created our seating chart, table numbers, welcome sign, and many other small touches that we wanted to add to have a level of thoughtful touches for our guests." Since Stephanie and Travis decided to stay traditional and forgo the first look, it was super imperative that we capture the majority of the formal party group shots before the ceremony, saving the majority of that precious cocktail hour for the portraits that will adorn all of their walls. 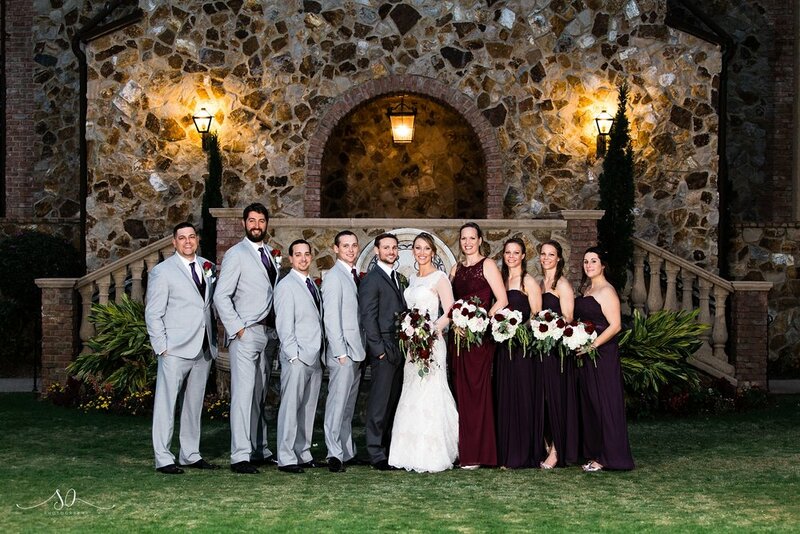 Having an additional assistant on our team was incredibly useful in coordinating the rotation of the bridesmaids + bride followed by the groomsmen + groom, without them ever passing each other. We saved the big group portraits for after the bride and groom portraits, when the backlit venue offered a very cool backdrop. With a little bit of complex planning, we were able to sneak in one of the most touching first looks with Stephanie and her father that I've had the pleasure of capturing. My heart strings are pulling just remembering this moment! 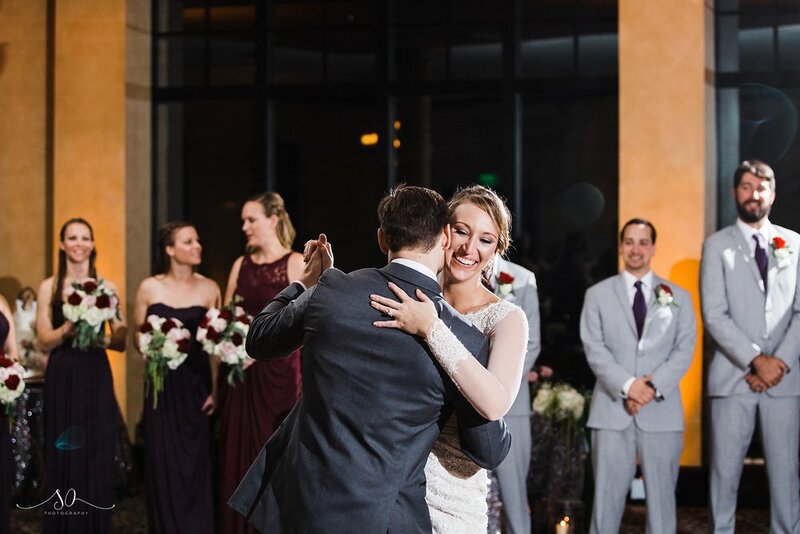 Once we got Stephanie's emotions completely out of control, we went ahead and set up her first touch with her soon to be groom. She carefully rolled up the sleeve to her dress, ensuring that Travis wouldn't accidentally see. She described it as super overwhelming - but in such a good way. 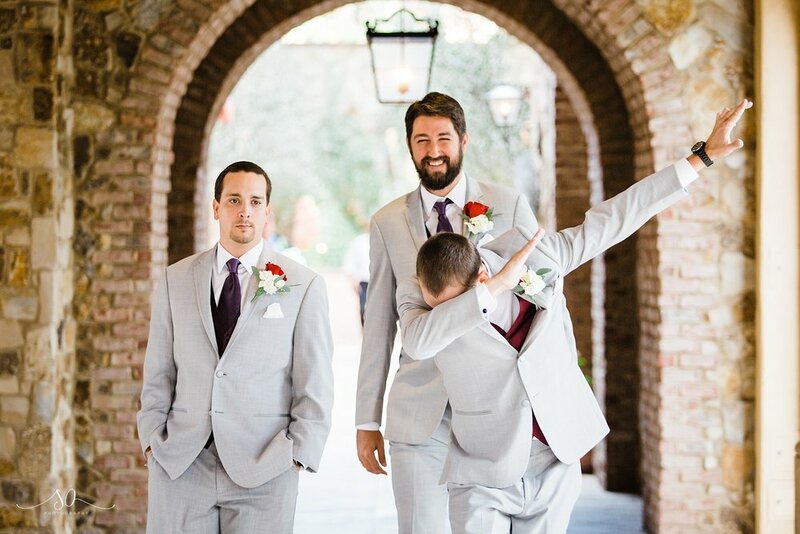 "We decided to do a first touch instead of a first look in order to keep that excitement and tradition of seeing each other down the isle. This provided an incredible moment for both of us...but it was very difficult not to cheat and just peak around the corner to steal a smooch!" Travis said the few minutes they spent together before the ceremony was tied in first place for his favorite moment of the day! He says, "It was the first time I could be close to her and hear her voice. 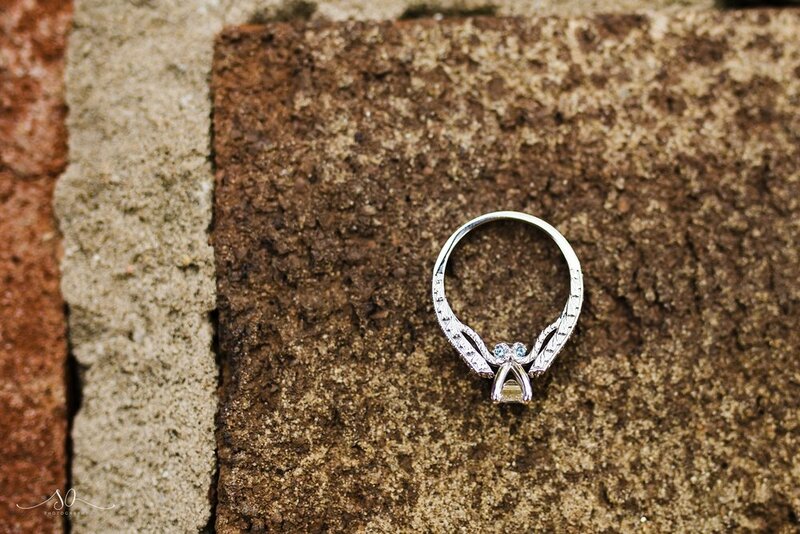 She was adorable and it calmed my nerves by changing them to excitement for the magical day that was taking place." 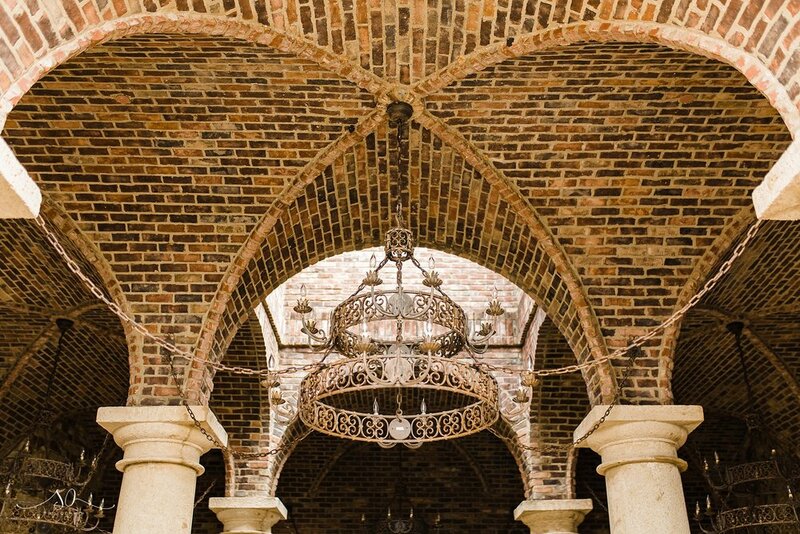 They chose to have their ceremony in front of/under the bell tower, surrounded by their closest friends and family, disappearing into a moment of pure bliss as they said "I DO!". 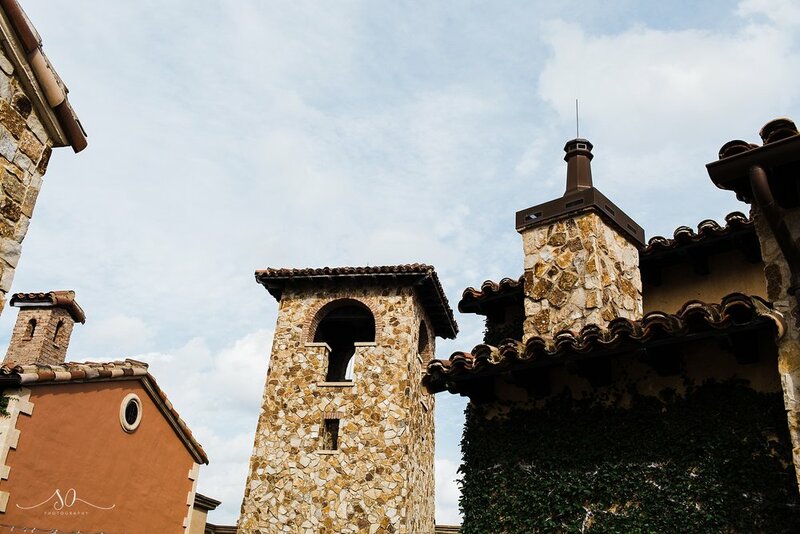 I love the intimacy that the bell tower provides - it allows my team to stay up close and personal without having to be in the way. 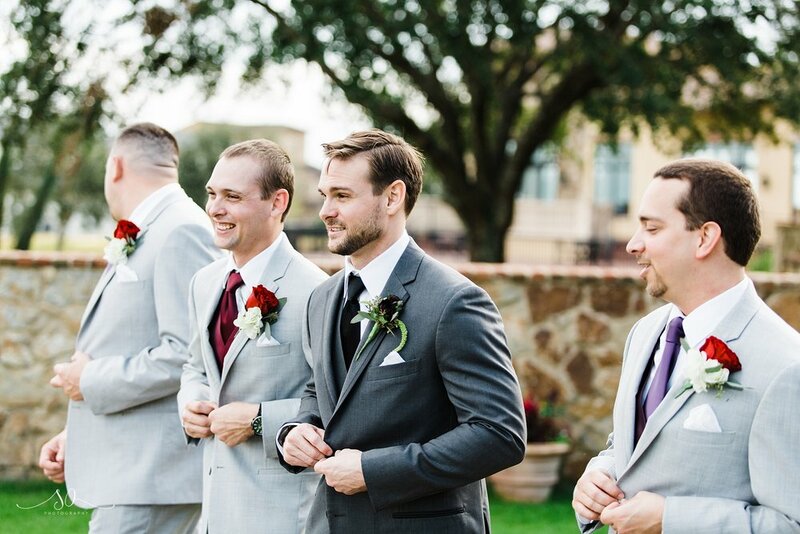 And can we talk about how Travis' smile just gets bigger and bigger as his beautiful bride gets closer? That right there is the look of a man who knows he hit the jackpot. 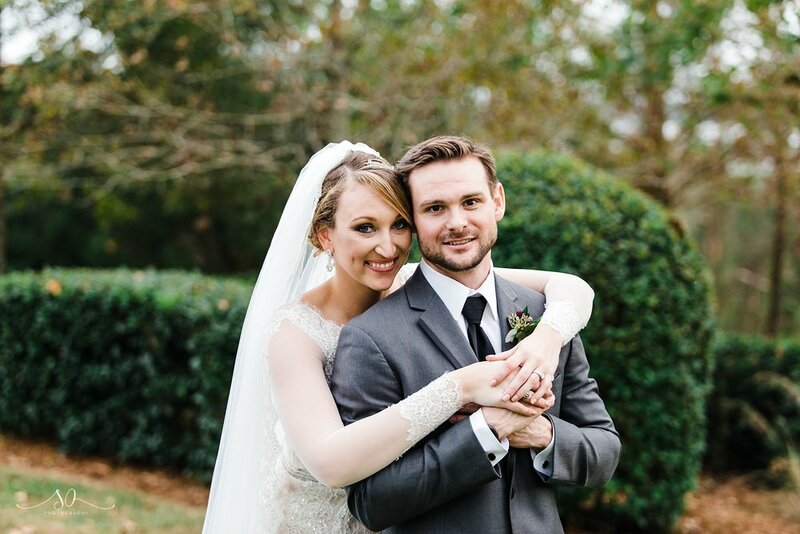 Early in the planning stages, I recommended to the couple that we immediately whisk off post ceremony for portraits, thus ensuring that we not only have enough time for them, but that I have an opportunity to capture the newlyweded bliss during those first moments that it sinks in that they were married. 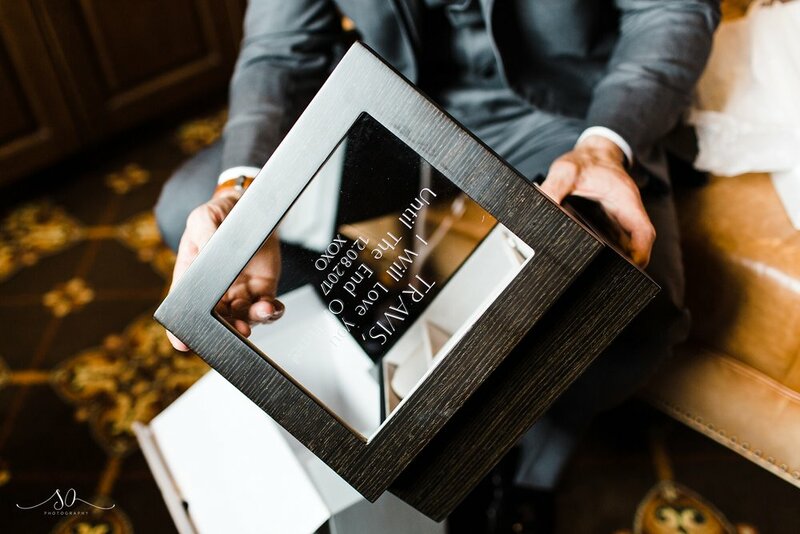 Not only did they excitedly agree to the idea, it became Stephanie's favorite moment of her wedding day, and the competing moment for Travis! Want to know how a couple is truly in sync? When they answer separately and yet nearly exactly the same! 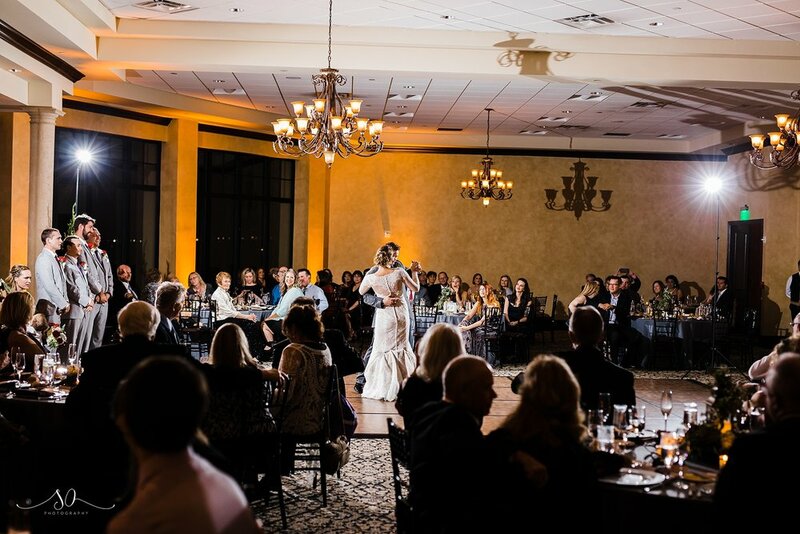 Stephanie wrote "My favorite part of the day was immediately after our ceremony, gushing with love and excitement, getting to be taken away from the madness and have a blast while taking pictures. We both loved being able to be goofy and spend time with each other (and Sara with her team) being newly married. This time allowed the moment to sink in and be present with one another before spending the rest of the evening with friends and family." 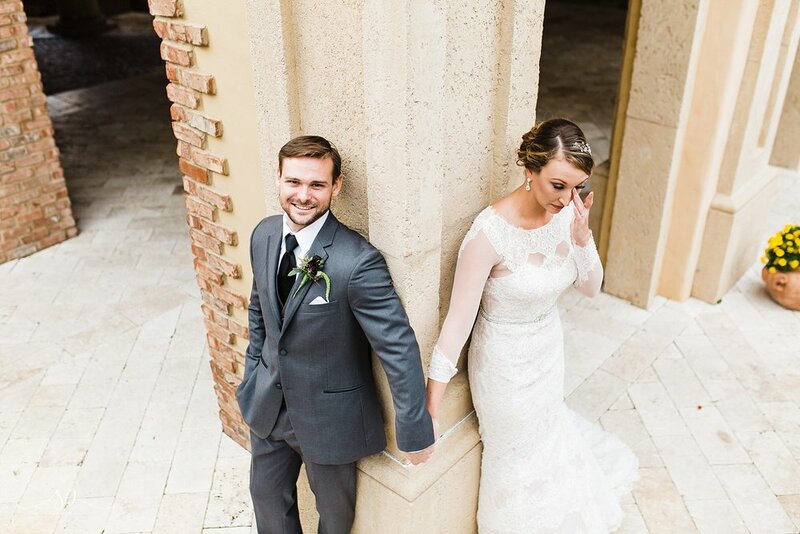 Travis agreed with "right when we got done with the ceremony and we had made it to the golf cart and we finally have a moment to us. 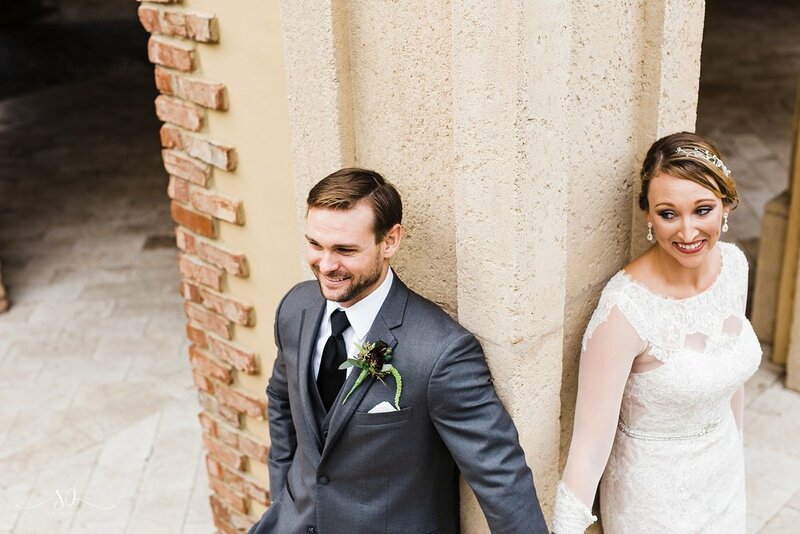 Sara really captured us and immediately relaxed us and the excitement of the moment." Portrait time is ALWAYS my favorite part of the day, but especially when I can get these first crucial 30 minutes to myself! 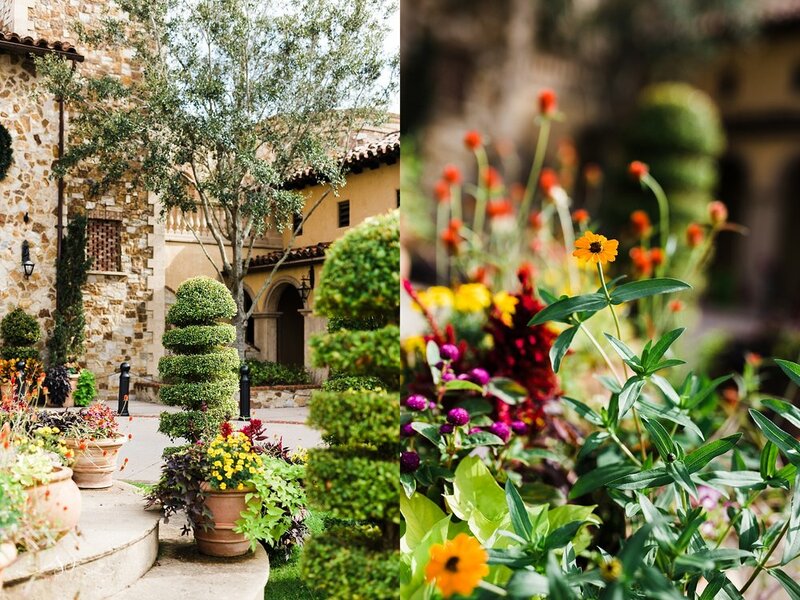 We wandered all over the grounds, taking advantage of the multiple locations of beauty Bella had to offer, as well as that insaaaane veil that we were all obsessed with. 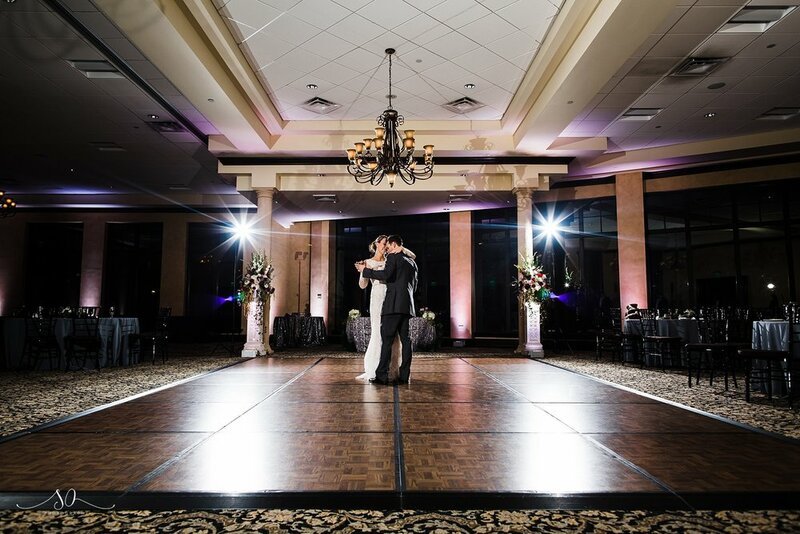 Once our photographer hearts were bursting with the true appreciation for a couple so madly in love, we moved on inside the venue to one of the FUNNEST receptions I have ever had the pleasure of capturing. Of course, that's no surprise when JW Jaeger is the DJ! An old time friend of Stephanie's and one of my absolute favorite people in the world, he always keeps things lively and added an amazing touch with the color-changing uplighting! 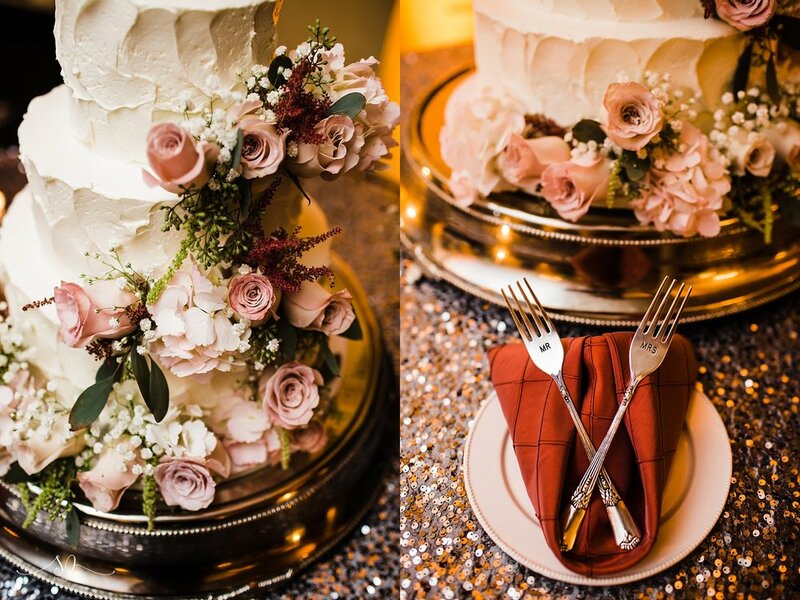 Charlie's Bakery outdid themselves with an incredible tiered cake and those bear cake toppers are just the CUTEST. 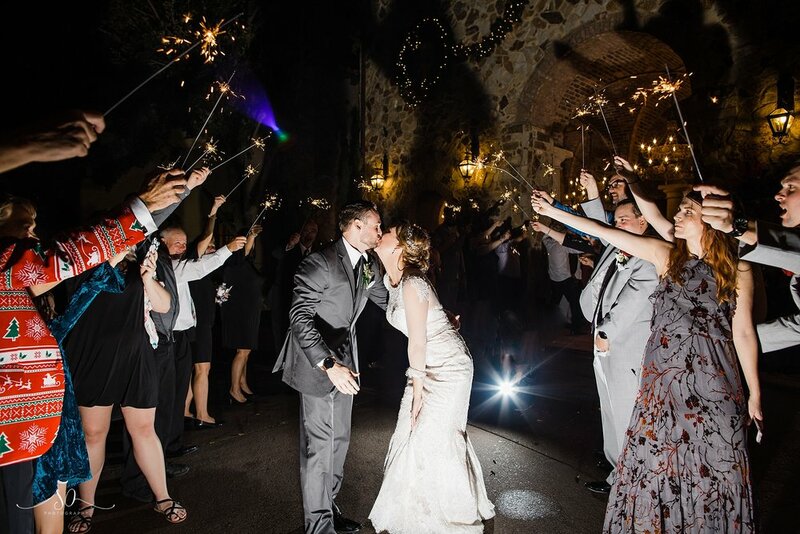 Lovers of the nighttime photos, it took them zero seconds to agree to wandering the grounds for just a few more portraits before taking a grand sparkler exit to a surprise limo, waiting to whisk them off to an amazing honeymoon. 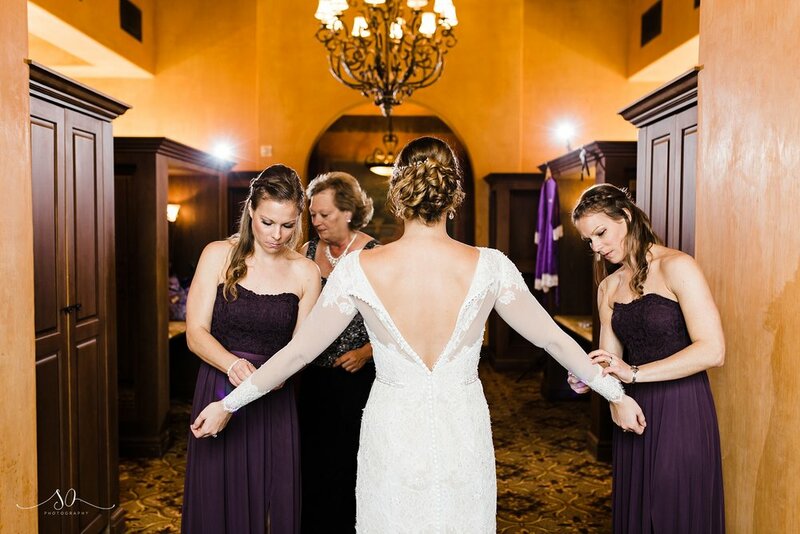 "One piece of advice to future bride and grooms is to take time throughout the day to stop and let it soak in. Everyone says they day goes by so quick and it does, but stopping every now and again to look around, soak in the feelings, and love surrounding you, will allow the day to slow down just a little bit and provide more impactful memories and feel good moments after the amazing day has concluded."